Strawberries and Buttercups: Are you buying some? I know it has been a while since I last blogged but I just don't know where the days and time has gone. Plus I still aren't feeling 100% so I'm finding I don't want to be sat at my laptop for too long. Today though I came online to find a lovely e-mail from Angoo-Mart offering 20% off to all their customers so I had to share it with you as you know how much I love tape but also I know some of you are just as equally as insane in buying as me! Majority of these tapes are from there, my order today will be my third one this year! but my previous one was in 2010 and most of these tapes are from then so are almost finished. You can still get some of them but not all of them. damn you, I am on the site now and wow I am so buying stuff. Already got some tape in my basket and lace stickers!! update: I just spend 20 euro there, the tapes and stationary...I couldn't resist! 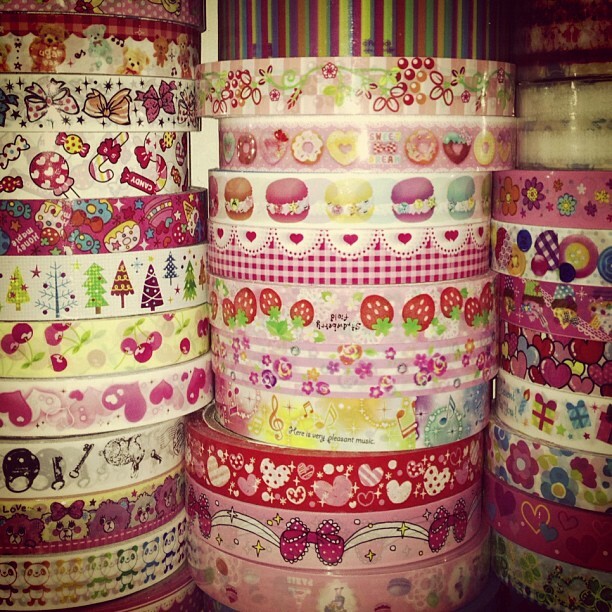 Such cute deco tape! I really need to stock up!